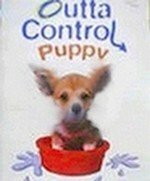 Chihuahua Yapping, -- "Puppy Socialization"
Many people give or receive a new puppy as a gift during the holidays. What an awesome gift "True Unconditional Love"! Holidays can be stressful times all by themselves, now add a new pet to a family with existing pets, and the stress could double. This brings me to my topic for the month "Puppy Socialization" . Socializing your pet to accept new animals into the household is not always an easy task. The dog usually has its own ideas of its territory and home and is generally not a generous creature when it come to sharing but would much rather chase the intruders away. We have to reprogram the dogs thinking to make it understand that chasing the cat or iguana or whatever other pet you may have, is not acceptable. I have talked puppy Socialization on my web site in this issue of my newsletter I will be more detailed with some instruction on just how it is done. To start, make sure that the new animal will be safe. Place the new pet in a pet carrier or some other sturdy structure that prohibits the dog from actually physically contacting the animal but still allows for both animals to see, smell and hear each other. This provides a way for both animals to acclimate to each other in a safe, though possibly a bit stressful, situation. In later steps, gloves might be advisable to avoid scratches from a nervous pet. After the animals have both calmed a bit give them each a small reward, such as a morsel of some favorite food. Be sure to give the dog lots of verbal praise and affection when it is not barking or trying to get to the new animal. This will show the dog that you are accepting of the new pet's presence and you expect him to be also. Repeat this process several times over the course of a week or so, until both animals seem fairly accustomed to the presence of the other and their aggressions seem to have calmed down. At this point, you are ready to move on to the next step. This step will require help with one of the animals. Have them leash the dog and hold him firmly on a very short leash. After instructing the assistant to maintain control of the dog, open the pet carrier and bring the new pet out carefully. Your dog will likely move towards the animal so be sure your assistant has the dog held tightly and be careful not to let the new pet panic and escape. Slowly bring them closer together and let them calmly adapt to each others presence. Repeat this step several times over the next few days and by the end of the week, these two animals should be like old friends. My fourth and final point is remember that just like humans, not everyone is going to get along. There will be days where the dog and the cat are going to feud or the iguana will get onery and slap the dog with his tail, just "because". Some animals were just never meant to live in harmony but with a lot of patience and a little direction you can make your household somewhat peaceable most of the time. When things go bad, just accept it and put the animals in their separate areas for a while and give them a cooling period, they will be friends again in no time. With these simple steps you can be sure that life around your home will be much more harmonious. As a final note, I need to tell you about this important special sale from Dr. Andrew Jones. The sale ends this FRIDAY.. Get It Today! I told you about his Webinar last month; I hope you were able to attend, it was very informative. For those of you who do not know, Dr. Andrew Jones is a practicing veterinarian in Nelson BC Canada, an author of a digital book, "Veterinary Secrets Revealed", a publisher of my award winning Newsletter, "Veterinary Secrets", and the creator of a Home Study Course, "The Veterinary Secrets Revealed Complete Home Study Multimedia Course". Sign up for his Newsletter, you'll find it very informative. Dr. Jones tells you how to take charge of your pet's health! He'll help you learn as MUCH as you can about your dog or cat's health, and know How to PREVENT disease. The best part is you LEARN basic Home remedies for the most common pet health problems.